A team of security-savvy students from the University of Virginia prevailed over nine other teams to win the 2018 National Collegiate Cyber Defense Competition. The championship was held in Orlando, Fla. from April 13 to 15 with the top 10 college and university teams from across the nation. The University of Virginia earned the national title by successfully protecting a fictional biotech firm's network against an onslaught of persistent cyber attacks from top security experts posing as hackers. With more than 230 colleges and universities competing to test their cybersecurity prowess, the ten finalists advanced to the national round after competing in multiple stages before advancing to a single round elimination at regional competitions nationwide. The NCCDC was founded in 2005 by the UTSA Center for Infrastructure Assurance and Security (CIAS), with the mission of developing a pipeline for talented college students interested in pursuing cybersecurity careers. The event has been so successful at developing promising opportunities for students that the CIAS now has an important rule: Job offers must wait until the competition is over. Modeled after real-world scenarios, NCCDC was the first national cybersecurity competition to test how well college students operate and manage a network infrastructure similar to the networks found in the commercial sector. In this year's national championship, the competing teams worked to secure a multi-site retail corporation with 160 employees, point of sale systems, inventory systems and other systems found in a retail company. "The NCCDC program brings academia, government and industry together in a unique way," said Dwayne Williams, associate director of special projects at CIAS and director of the NCCDC. "Everyone recognizes we need to find and train more cyber professionals, and these competitions are critical in helping meet that need." The NCCDC challenges college students to operate and manage a network infrastructure similar to networks found in the commercial sector and scores them based on their ability to minimize system infiltration, keep critical services in operation and prevent exfiltration of sensitive data. In this year's national championship, competitors worked to secure a fictional biotech firm "Volitech," which specializes in vaccine research, materials research, pharmaceuticals and biomechanical organ development. 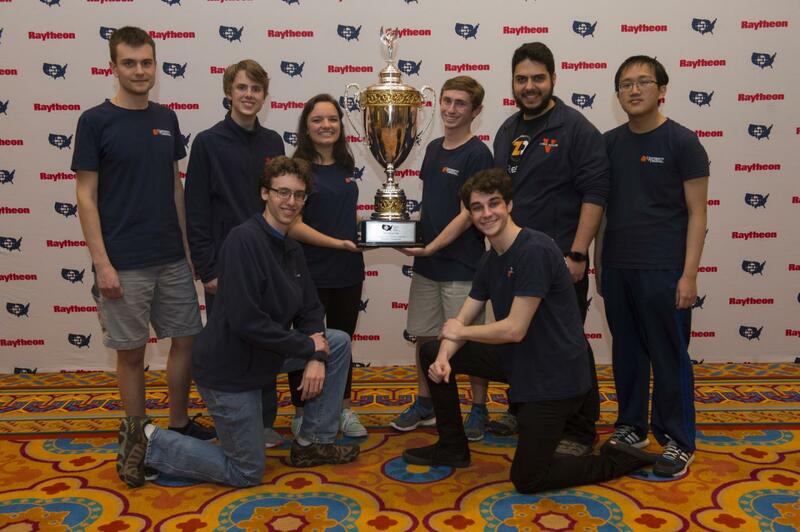 By the end of the competition, the University of Virginia earned the highest score and took home the coveted NCCDC Alamo Cup. Raytheon, which presented the competition, will bring the winning team to Washington, D.C. this summer to tour some of the nation's top research and national cybersecurity sites. In addition to the University of Virginia's top finish, the University of Central Florida and Dakota State University placed second and third, respectively. Seven other teams competed in this weekend's national competition including the University of Alaska, Fairbanks, Indiana Tech, the University of Buffalo, the University of Washington, Seattle, Utah Valley University, Baylor University and California State University, Northridge.